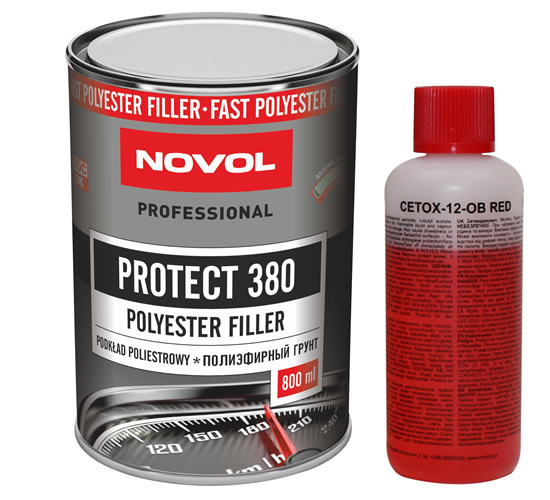 NOVOL PROTECT 380 – Polyester finishing filler applied by pneumatic spraying. Once mixed with the hardener, the product gains spray viscosity without the need for extra thinners. 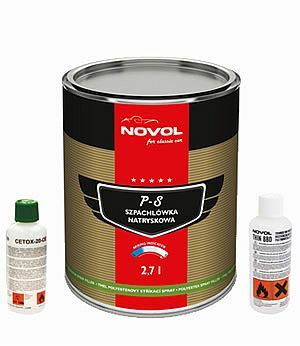 A unique indicator allows the readiness of the mixture to be evaluated (when the olive colour turns light beige, the product is ready for spraying), and the thoroughness of the mixing of the components to be inspected. 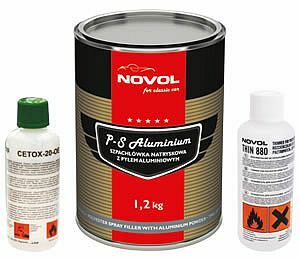 Allows a high fill ratio to be achieved leaving a smooth surface, even on very large areas. Ready to sand after approx. 2 hours at 20 degree Celcius (this can be reduced by heating to a maximum of 60°C). 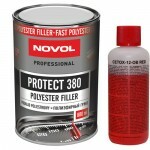 The product is intended for machine sanding, as well as for manual sanding with fine-grained abrasive paper.